The History of MCC, Inc.
MCC, Inc. began as the R.M. Murphy Construction Company, with Robert and Mary Murphy quarrying the land behind their farm located in Oneida, Wisconsin. 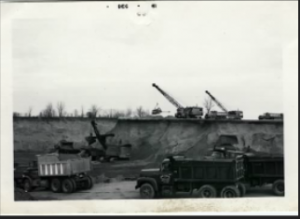 In 1931, Robert and Mary bought the Outagamie Limestone Company in Black Creek. 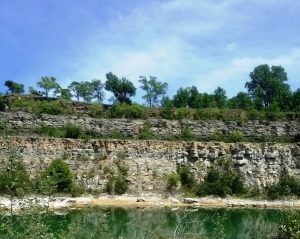 The following year the business and quarry operation were incorporated as Black Creek Limestone Company. On March 29, 1946, Robert and Mary’s along with their eldest son, Orville, formed the corporation known as Murphy Construction Company. 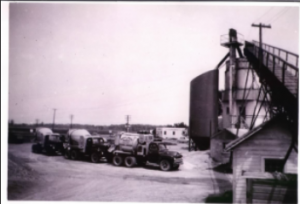 Also in 1946, Orville and his father went into the concrete business with their first ready-mix plant located in New London. “Central Bituminous”, but was later changed to “Central Paving”. 1988 marked the merging of six individual companies into one main company known as MCC, Inc.
With half a century of succession, from the 2nd generation of Murphy’s management team, “the passing of the torch” was to the third generation in the the 1990s. In 2004, MCC, Inc. purchased the property at 2600 N. Roemer Road, Appleton. The new location enabled MCC, Inc. and Black Creek Limestone to consolidate it’s office and shop personell to one location. enthusiasm and respect to the environment.